Access start-ups directly. Access established companies directly. Jointly develop new solutions and business models. Tap into new markets. Increase your speed and efficiency. These are the goals of our A² Accelerator. WISTA Management GmbH organises the whole A² programme from A to Z, while our start-ups and industrial partners focus on their business. Just the way it should be. Because we have more than 20 years’ worth of experience of working with start-ups and have an extensive network. Because we have very good contacts to established companies. Because we have successfully organised several accelerator programmes. Because we are 100% neutral as a 100% subsidiary of the State of Berlin. Because we focus on maintaining the balance between start-ups and established companies. Participants of the five-month A² Accelerator programme will deal with all the critical issues specific to their product, their company, and their respective industry in thematic sessions. The programme strikes a careful balance between theory, practice and networking, ensuring that there is enough time to take care of everyday business. The programme aims at enabling participants to apply the learned know-how to their own product, or service, and to improve it continuously in cooperation with their mentors and industrial partners. Yvonne Plaschnick has been supporting growing start-ups in Adlershof for many years. She is the project’s manager and responsible for the entire A² programme. Dr. Oliver von Quast is the project leader of A². He has worked as a business angel for many years and has long-standing experience in the energy sector. Rawad Chammas supports the A² team with his affinity for innovative and competent start-ups. He is responsible for selecting and supporting our candidates. Andrea Ruíz López is a master’s student in engineering management with a focus on energy resources at Technical University Berlin. She started supporting the team in February 2018. Roland Sillmann is the CEO of WISTA Management GmbH. Throughout his career, he has developed a great passion for fostering business founders in the energy sector. He does so by using his extensive network. 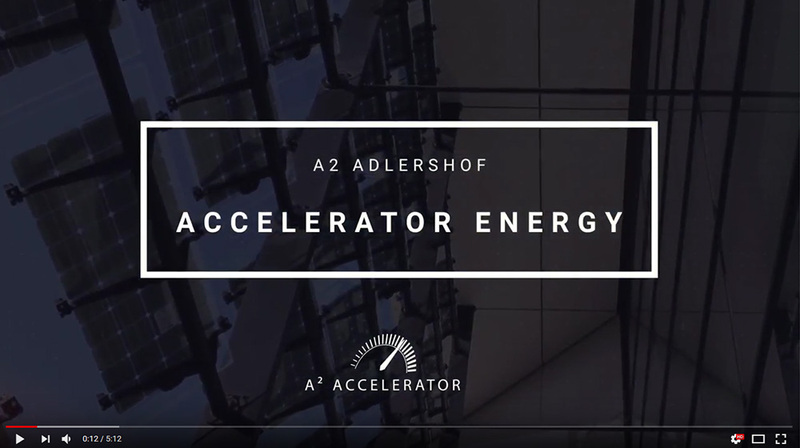 Sillmann is the initiator of the A² Accelerator programme.